As you may have noticed, our culture collectively dreads getting older. Advertisements promote youth, anti-aging and enjoying life while you’re young. While youth is great, it doesn’t last forever. 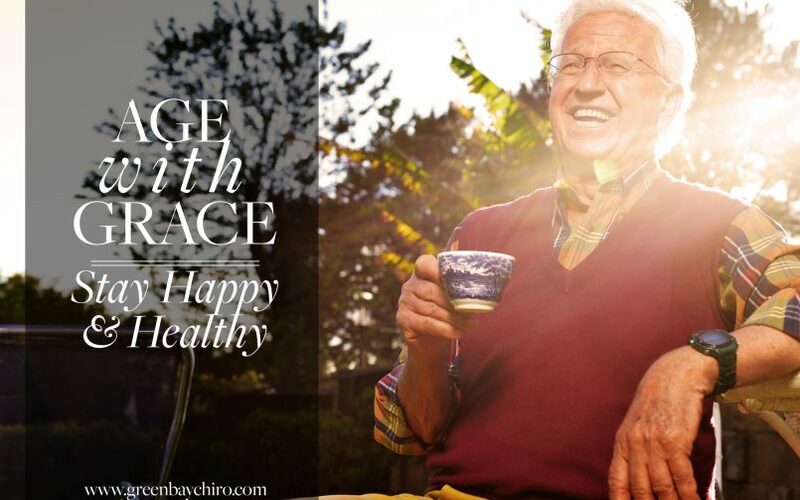 To age gracefully both physically and mentally, you must adopt health awareness and a positive mindset. A recent study published in the American Journal for Geriatric Psychiatry suggests that overall contentment with yourself and your position in life dramatically increases your quality of life as you age. The idea of contentment changes from person to person, so the ways to find this contentment also vary. One thing that all subjects of the study had in common is their perspective on aging. Those who openly admit to being happier with themselves in older age also say they cherish what they have and look forward to the future. In other words, they have a positive outlook on their present state of being and in anticipation of what’s to come. How do you adopt a positive mindset, and more importantly, how do you maintain it throughout health problems, losses of loved ones and the inevitability of aging? It all comes down to self awareness and monitoring your own health. It’s hard to truly love your life and accept your aging process if you’re experiencing chronic pain. In a recent study by PLOS One, “7,285 individuals 75 years of age and older indicated that they experienced issues with walking, standing, seeing clearly, cognitive function, pain, weakness, and more.” These issues interfered with functionality and therefore lowered quality of life. It’s understandably difficult to feel content with your surroundings and have a positive outlook on life if your ability to perform daily tasks is met with pain and discomfort. Maintaining routine and being able to independently care for yourself keeps your positive spirit intact. Interacting with family, friends and performing tasks you’re used to doing yourself are things you don’t want to compromise due to slowed cognitive function or pain. The main symptoms of aging are dizzy spells, neck pain and decreased balance. An additional study in the Journal of Chiropractic Medicine determined that after just eight weeks of chiropractic care, patients noticed dramatically less dizziness, neck disability and increased stability or balance. Further, it determined that chiropractic treatments helps with the overall experience of pain, even from diseases such as leukemia. For instance, an 83-year-old male with “a history of leukemia, multiple compression fractures, osteoporosis, and degenerative joint disease” lowered his pain from a 10 to a 4 by being adjusted regularly. In return, he was able to better care for his disabled wife. To embrace getting older, you need to be good to your body and mind. Surround yourself with good friends and trusted professionals, exercise regularly, pay attention to nutrition and continue to fall in love with your life. Don’t let pain get in the way of your quality of life! Chiropractic addresses the source of pain so you can return to your daily routine, social activities and exercise. Trust me, it’s much easier to be positive and content with yourself and your life when you feel like the best version of yourself. Strunk RG, Hawk C. Effects of chiropractic care on dizziness, neck pain, and balance: a single-group, preexperimental, feasibility study. Journal of Chiropractic Medicine 2009;8(4):156-64.